In July, the California Department of Health Care Services (DHCS) launched seven new Medi-Cal Whole Person Care (WPC) pilots and expanded another eight – bringing the total number of pilot programs to 25 (see California Medicaid Launches 7 New Whole Person Care Pilots, Expands 8 Others). These five-year WPC pilots are locally-based initiatives that coordinate physical health, behavioral health, and social services, including non-Medicaid services, housing, and supportive services for Medicaid beneficiaries. Also key to the initiative – the pilots rely on data sharing to identify the targeted populations, link them to services, and track the intervention impact on outcomes. Beyond electronic health records (EHRs) – EHRs are now just the first step in the data process. To the degree that provider organizations participate in the WPC, their data will be aggregated with that of medical, corrections, and social service providers, so that now you need some HIE capability and some degree of analytics to accept/understand the data. Some of this data isn’t from what you might think of as a standard health care or behavioral health EHR. It’s data from Homeless Management Information Systems, corrections data systems, and other siloed data tracking systems that aren’t necessarily used in the same way as an EHR, and right now don’t connect with one another. Greater transparency in provider performance – All of the initial 18 WPC pilots are expanding their existing data sharing frameworks for health, public health, behavioral health, homeless services, jails and other social services, to better enable care coordinators, health providers, behavioral health and social service providers to share data and communicate effectively to improve outcomes of high-risk Medi-Cal beneficiaries. That will lead to greater transparency in provider performance, reduced duplication of effort, and greater opportunities to demonstrate value. How will these two things happen? For the first year the lead entities will meet the other players to discuss how they might work together; what data they might aggregate within a data warehouse; what electronic data platforms are currently in place versus need to be created; and what resources and tech could potentially be leveraged to share data. Think of year one as a discovery process, with actual data exchange and analytics to occur in future years once they’ve figured these things out. With this greater transparency, I think that they’ll find a fair amount of duplication of effort and expense, with no clear accountability for consumer outcomes and impact on total cost of care. Whole person care has proven itself a great market opportunity as the influence of The Patient Protection and Affordable Care Act (PPACA) has spread through the health and human services field. The “perfect solution” is still out there to be found and while it’s up in the air as to what that solution will ultimately look like, provider organizations that are already judging their opportunities to address gaps in care – possibly though managed care, accountable care, and health homes – should monitor these kinds of pilots as part of their market research. 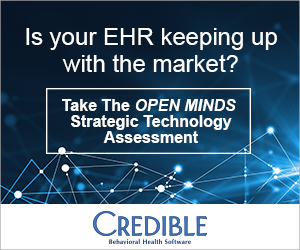 I hope you will join me at The 2017 OPEN MINDS Management Best Practices Institute on August 16 for my session, “Finding New Opportunities With Health Plans: How To Market Your Services To Managed Care”, featuring Dawn S. Kingsley, Vice President, Payer Contracting & Strategy, Centerstone America; and my session “The Addiction Treatment Landscape: The California Transformation”, featuring Theresa M. Stanley, Vice President of Medical Services, Care 1st Health Plan and Elizabeth Stanley-Salazar, Behavioral Health Services Consultant, Stanley Salazar Consulting. And, join me on August 17 for my session, “Best Practices In Care Coordination: Health Homes, Medical Homes, & More”, featuring Shauna Reitmeiter, Chief Executive Officer, Northwestern Mental Health Center and Dr. Clayton Chau, Regional Executive Medical Director for the Mental Health Network, St Joseph Hoag Health Providence St Joseph Health Southern CA Region, Orange County/High Desert.